If you’re headed north or south in New Jersey, there’s no avoiding the dreaded Jersey Turnpike. One of the most traveled and dangerous roadways in the country, it can be confusing to Turnpike newbies and veterans alike. With anywhere from 4 to 14 lanes, it gets even more challenging when the lanes change direction from north to south and south to north at different times during the day. 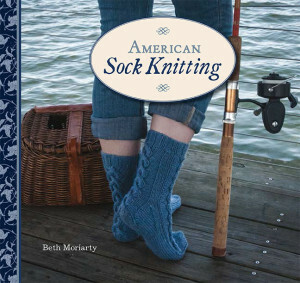 These socks, by Heatherly Walker, are inspired by the challenge of navigating the Turnpike. The color is a nod to the 122 miles of asphalt and stripes. Start your needles!